This special ornament is from a series of collectible ornaments created by the New Mexico Governor’s Mansion Foundation. It features the high desert landscape of New Mexico, with a Zia symbol in the sky at the time of a sunset. 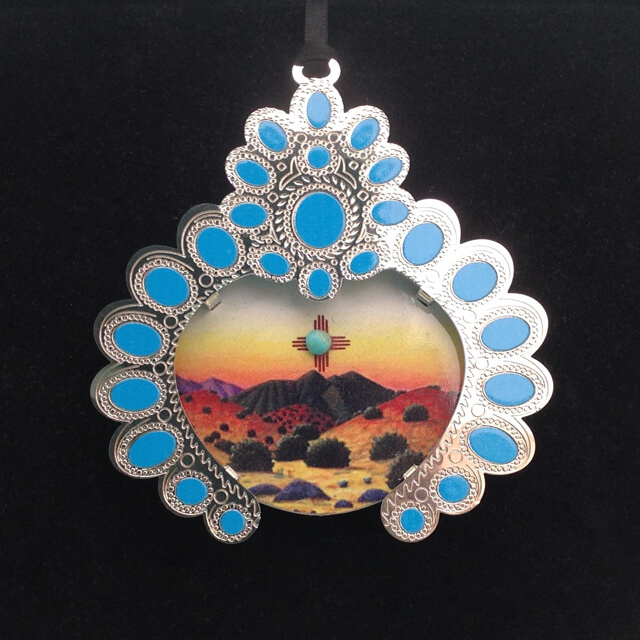 Squash Blossom necklaces made of silver and turquoise are now called New Mexico’s State Necklace. 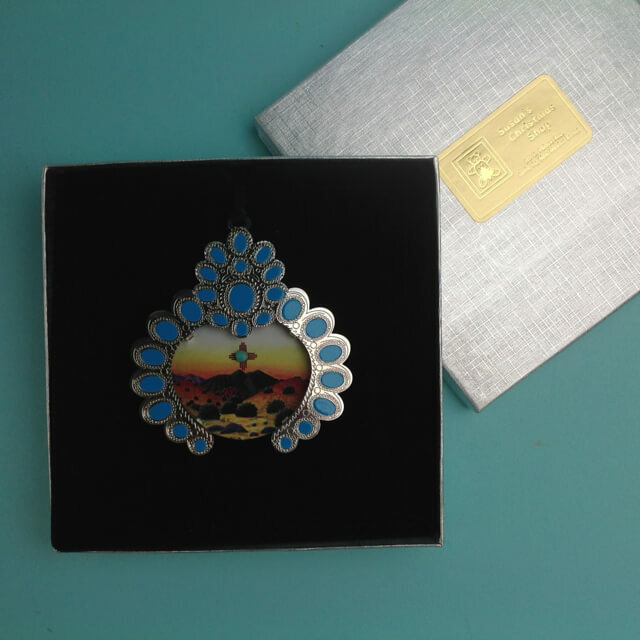 The ornament uses the pendant of this type of jewelry, not in real sterling silver and genuine turquoise stones, but imitation Rhodium plated metal and turquoise colored paint. All proceeds from the ornament sales benefit the Governor’s Mansion Foundation, a non-partisan, non-profit organization of volunteers responsible for the design and preservation of the Governor’s residence. This ornament is now out of stock.